Your photoblog’s style is pretty amazing. Amazing! Thanks for posting this one. nice tomo! 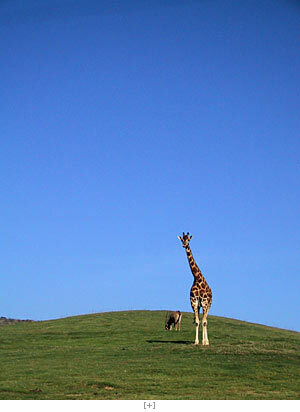 nothing disturbs my eye while it’s attracted by the bended giraffe. this is an excellent shot tomo! beautiful colours! it’s one for the national geo mag! Rolle & lurgee » thank you so much! You’re amazing tomoko! I couldn’t decide which giraffe piture I liked the best.